Manor Formula 1 reserve driver Alexander Rossi says he is no longer feeling “timid” about racing on ovals ahead of IndyCar’s race at Phoenix this weekend. 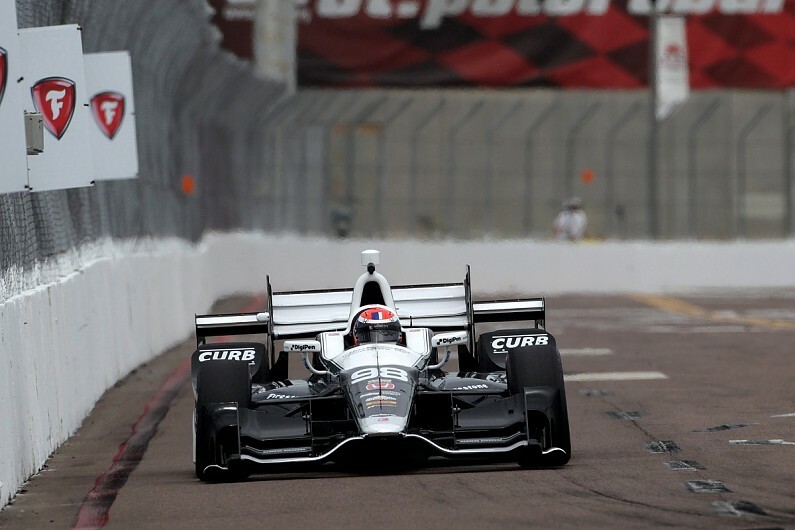 The American finished 12th on his IndyCar debut in St Petersburg last month, but the series’ second race of the year will be his first race on an oval. “I’m excited about it,” said Rossi, who is competing for Andretti Herta Autosport this year. “I was a bit more concerned prior to the test [earlier this year] because I didn’t know what it was all about. “The first 10 laps I drove around an oval I was a little bit timid about it, but I enjoyed the experience. “It’s a very unique set of circumstances you have to understand and appreciate. “That comes into play even more on the larger tracks as you are adjusting the car as the lap goes on. Rossi believes he will have to adapt to a different style of racecraft as well, particularly on a track as short as Phoenix, where laptimes in testing were under 20 seconds. “You just have to be clever,” said Rossi. “It’s about planning what you are going to do a lap in advance. “It’s very difficult to pass – it’s not something where you can get a run on a car and get it done into one corner. “Everything is about planning a lap ahead and planning what you are going to do. “A lap is not very long around here so you have to be forward thinking. “IndyCar as a whole is a lot different and a lot harder than a lot of people realise, not just on ovals. American Alexander Rossi to race in Belgian F-1 GP with Marussia…(not the “best ride”…but a “ride” never the less).